Be on the Next 'Extra' -- Tell Us Your Thoughts! We want YOU to be part of "Extra" -- upload your video comments now to be on television! We're covering the Golden Globe nominations, Alec Baldwin, Laura Bush, Tom Cruise, Mickey Rourke and more... and we want your thoughts on these stars! Who's going to win a Globe? Is Mickey Rourke making a comeback? 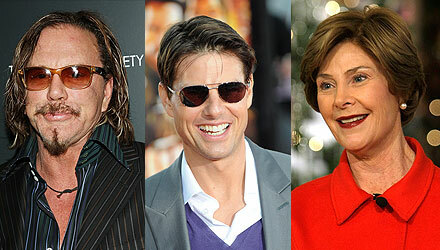 Do you have a great Tom Cruise impersonation? Give us your thoughts on these topics and more -- by uploading your video comments now!